Had a great 2015 tax season! ATOM is the backbone of our office operations. Since implementing ATOM during the 2011 tax season, we’ve processed over 30% more returns with the same # of staff. We love the functionality and we continually look for ways to have ATOM save us time and money! It’s my kind of software, because I can keep my work organized!!! Very good, feature-rich-software. Quick response to questions. Improves every year. 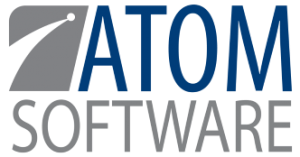 ATOM Software is wonderful for the fact that you can have everything in one spot. By everything I mean the following: appointments, client portal, client contact info, client communications, return tracking through the office, time spent on the return, billing and payment records, plus with Drake tax software it records the electronic filing information. Plus, it keeps everything together for each year, and more. R & J Salina Tax Service, Inc. I use ATOM. It is amazing software. This software keeps my professional life from becoming chaotic. We use it as a paperless cabinet and scheduler. I will never face a tax season without ATOM. This was our first year using ATOM. We are absolutely thrilled with everything that the software can do and how easily it can be customized to integrate into our workflow. We are already looking forward to incorporating more of ATOM’s technology into our procedures for next year. “We have been using ATOM for 6 years and I love it. It is written by a tax office so they think like me. Saunders Tax and Accounting, INC.
First time user…it appears to be well conceived and supported…we are switching document management software, so this was a big decision. I cannot say enough nice things about ATOM staff! Being that we are a Canadian company every single person I have dealt with in regards to ATOM have been helpful and kind. I really hope that one day ATOM will evolve the product to work with CRA (our IRS) and our computer programs for taxes. I am glad that I went with ATOM instead of the only Canadian compatible program.